Kahuku High and Intermediate School will reopen tomorrow after being closed for three days because of a noxious odor at the campus last week, according to the state Department of Education. Tests at the school yesterday found no contaminants, and the state Department of Health said the school is safe. The Department of Education canceled classes once again today, however, after some school employees suffered throat irritation while walking through the school yesterday. "They want to have one more day just to make sure everything is cleaned up, wiped down and perfectly safe," said spokesman Greg Knudsen. "I absolutely expect it to open on Thursday." Officials suspect a pesticide sprayed at a nearby sod farm might have drifted onto campus Thursday, sickening 13 students and two teachers, who are now doing fine. The state Department of Agriculture is testing grass samples to find out whether the fumes came from the farm. The 21-year-old Nanakuli man accused of killing a North Carolina visitor last month was indicted yesterday morning. Less Schnabel Jr. was indicted on a manslaughter charge in the punching death of 34-year-old Christopher Reuther of North Carolina. Reuther was visiting Hawaii on April 22 to consider studying law and decided to camp out at Zablan Beach Park. Schnabel is accused of punching Reuther without provocation. The punch caused head and brain trauma that killed Reuther two days later. He is being held on $100,000 bail. The first royalty of $10,000 from sales of the book "Broken Trust" has been given to the "Tutu and Me" traveling preschool and other programs of the Partners in Development Foundation. Future royalties will also go toward helping early childhood educational programs, according to Broken Trust Royalty Fund advisers and authors of the book Samuel P. King and Randall W. Roth. King, a senior U.S. district judge, and Roth, a University of Hawaii law professor, chronicled the trustees' abuse of the Bishop Estate in "Broken Trust: Greed, Mismanagement & Political Manipulation at America's Largest Charitable Trust." Published in 2006, the book is in its third printing. The "Tutu and Me" program travels to native Hawaiian communities and encourages children's caregivers to participate in the teaching process. Activities strengthen literacy, cognitive skills and physical and emotional development. Naval Facilities Engineering Command Pacific has been selected as the 2007 Air Force Design Agent of the Year. The award recognizes the agency that provides the most professional management of design or construction for the Air Force. Specifically, the command was recognized for its excellence in the design of facilities on Guam and Wake Island for the U.S. Pacific Air Forces, including a new Global Hawk hangar and a new medical and dental clinic. Three HSTV (Hawaii Student Television) productions have placed in the 2007 National Student Television Regional Awards. "Therapeutic Foster Parent," a 10-minute promotional video for Child and Family Services, won first place in the "public affairs/community service" category. A 30-second public service announcement on the same subject was chosen to enter the national finals and was broadcast throughout the state last year. "Hulihee Palace," a 10-minute fundraising video, created for the Daughters of Hawaii, won an "honorable mention" in the public affairs/community service" category. "Shining Stars" runs Monday through Thursday. 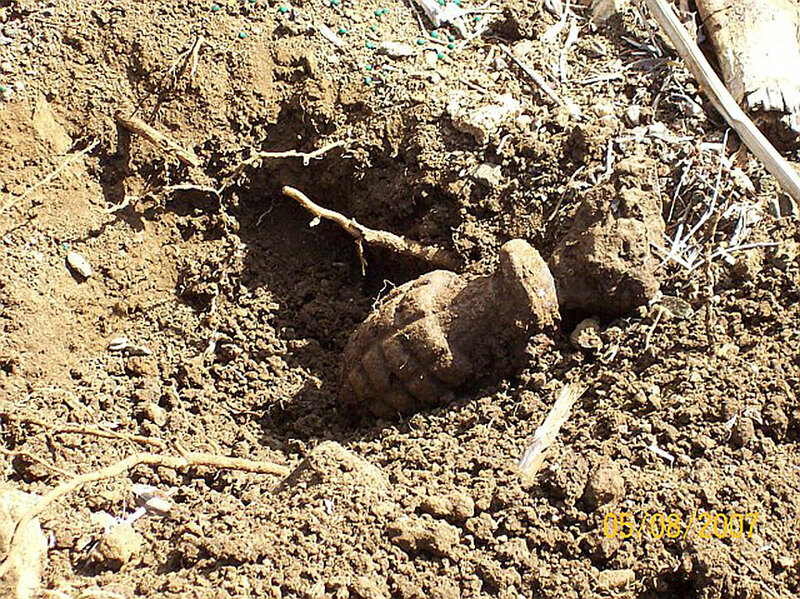 A World War II-era training grenade was found by a groundskeeper at the University of Hawaii-Manoa campus yesterday morning. Shortly after 9 a.m., a groundskeeper discovered the "pineapple grenade" as he was digging holes to plant some ti leaves around Andrews Amphitheatre, said UH spokeswoman Carolyn Tanaka. Students and faculty were alerted and campus security immediately cordoned off the area until the police bomb squad arrived and removed the device. Police said the device was inert. Charges are pending against a juvenile who allegedly sexually assaulted another minor. The suspect faces charges of first-degree sexual assault and two counts of third-degree sexual assault. Police said the alleged assault occurred at 7 p.m. on April 21 on Oahu. The suspect was arrested yesterday without incident, police said. Police did not disclose the parties' ages and gender or the location of the alleged attack. Police are looking for a male who allegedly lured a juvenile into a toolshed in Kalihi for a sexual assault. They said the assault occurred sometime before 7 p.m. Monday, and the suspect's age is unknown. Ages and gender of the victim were not disclosed. Big Island police need help finding a hydraulic hammer stolen from a Waimea construction site. The hammer, valued at $50,000, was last seen on March 12 at a site near the 13-mile marker on Route 190. A black extra-cab pickup truck was seen near the machine that day, and the hammer was gone the next day, police said. Anyone with information is asked to call police at 887-3080 or 936-3311.